Earlier this year the History Channel featured a much-hyped and rather gruesome series called American Ripper. The series speculated that H. H. Holmes, whom some have dubbed “America’s first serial killer” (which isn’t true, by the way), was also Jack the Ripper. If you’ve watched my blog, you might have seen my candid review of the flawed TV series. After watching the series, I recalled my delight in reading The Devil in the White City by Erik Larson (one of my favorite authors, by the way). Soon I noticed Adam Selzer’s book (Adam was featured as a consultant in American Ripper), and after reading snippets, I decided to purchase it for my Kindle. In other words, Selzer says, little of what the History Channel and others have promoted over the years about H. H. Holmes is true. Selzer’s does a fine job meticulously presenting his case one piece at a time. Was H. H. Holmes a murderer? I don’t believe anyone would insist he was an innocent man after learning the basic facts and studying the outdated forensic evidence explaining what happened to the Pitezel family; but so much of what the History Channel and others have promoted is pure speculation. Did H. H. Holmes murder some people, process their corpses into skeletons, and sell their skeletons to medical colleges? Larson says yes, but Selzer says no. Mainly the skeleton articulator who said so was later proved to be an untrustworthy witness. Also, keep in mind that no one else corroborated his story. But by the time his dishonesty was discovered, the newspapers of the day, driven by sales and sensationalism, had already promoted the myth, which became part of the American consciousness of the day. Keep in mind that after H. H. Holmes was arrested and began to be unfairly blamed for nearly every unsolved murder in Chicago, the story mushroomed to a proportion comparable to the O. J. Simpson case of our day. Readers couldn’t get enough, and newspapers competed to be the first to print the latest sensational tidbits, many of which were later proved to be mere speculation without basis. But the damage had already been done. Selzer excels at comparing the many Chicago newspaper accounts of the day, sorting through the facts, pointing out discrepancies, and helping the reader reach informed conclusions. 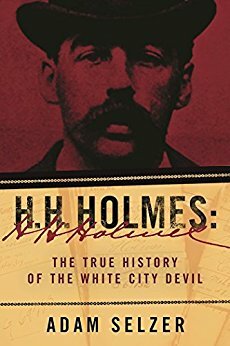 At the end of the day, H. H. Holmes was a master swindler and opportunist who murdered people who knew too much about his schemes or stood in his way. But the sensationalized version that has him responsible for more than two hundred murders in a hotel built for murder is sensationalism at best and outright carelessness at the worst. This book is presented as the “true history” of Holmes, so if you are willing to look beyond the sometimes-fanciful version Larson presented, you’ll enjoy checking out what Selzer has to say and considering an alternate viewpoint. If you’re like me, after finishing the book, you’ll be thinking about this sad man called H. H. Holmes for many days afterward and pondering his motives and the evil that can so easily sneak into the hearts of the best of us. Even if you aren’t interested in Holmes’s story, you may enjoy Selzer’s portrait of Chicago in the late 1890s and of the fascinating and flawed people who inhabited it. This is a recommended read if you enjoy interesting history and true crime. And when you reach the last page, you’ll discover that there are still some unanswered questions about Holmes that linger to this day. Perhaps they are hidden in a letter that may one day come to light. One can only hope. Note: One problem I had were the many typos I came across during my read. I’m puzzled that a book of this caliber could have so many. Adam, if you come across my article and desire some editing help, just let me know. 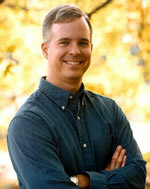 Book editing is my day job. An excellent book like this deserves more attention to detail. Would that be the 1893 World’s Fair? Thanks for letting me know about the error. it’s fixed.